One strange thing you might notice when reading about asteroids and other bodies in the Solar System is that most of the time the only dimension given to illustrate their size is diameter. 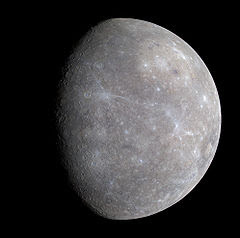 This is perfectly understandable for most objects in the Solar System as well as extrasolar planets, but even when mentioning bodies that are similar to or smaller than the Earth (and thus possible future destinations for human exploration) the only dimension given is diameter, and almost never do you see the surface area given alongside this. 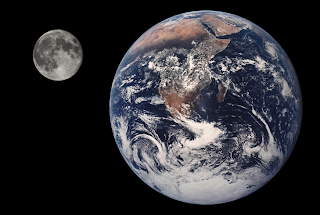 The reason why surface area is also important is that it's the only measurement that gives us some idea of what it would actually be like to stand on the surface of another planet, moon or asteroid, as so it's the easiest for us to visualize. It's the measurement we use for the size of countries, cities, our houses and the land they are built on. Diameter is simply the distance between the surface of an object and the surface directly on the other side; that is, the distance from where you are standing, down into the centre and then back out again, so diameter alone doesn't really tell you much about just how much there is to explore on the surface of a body in space. So in order to help visualize the real size of an object when standing on its surface, let's take a look at a few sample bodies from Venus all the way down to an average-sized near-Earth asteroid and see just how much there is to explore for someone standing on the surface. With these in mind it should then become much easier to guess at the real size of an asteroid the next time you read about one in the news. Venus is an easy calculation. The total surface area is 90% that of the Earth, but there are no oceans on Venus whereas 70% of Earth's surface is covered by water (total land area on Earth is 148,940,000 km²). 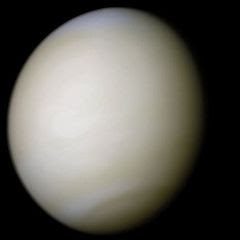 This means that the total surface area on Venus is equivalent to three times that of the land on Earth. Pity the temperature is about 450 degrees C on the surface. 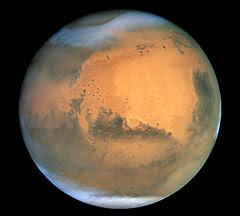 The area 50 km above the surface could be colonized, however. Ceres is located in between Mars and Jupiter and is in my opinion a great destination for colonization once we've developed to the point where we're able to think about choosing a destination. 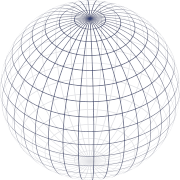 It has a diameter of 950 km, giving it a surface area of 2.8 million km². 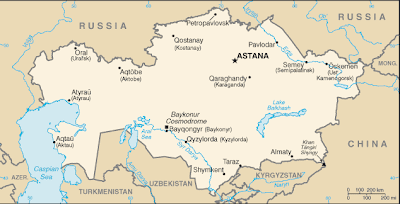 Though now we've gotten to the point where surface gravity is only 3% that of Earth, it is still a considerably large area to explore, equivalent to Kazakhstan, the 9th-largest country in the world. It's also about the same size as Western Europe, or Alaska plus Texas plus California. 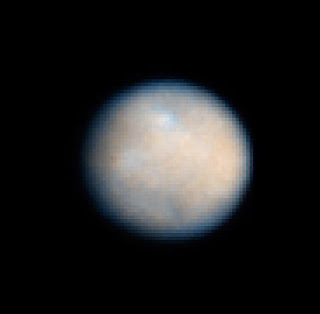 The Dawn probe will arrive at Ceres in 2015. 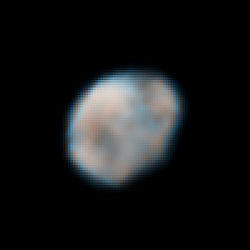 This is the next massive body in between Mars and Jupiter after Ceres, with a mean diameter of 530 km. 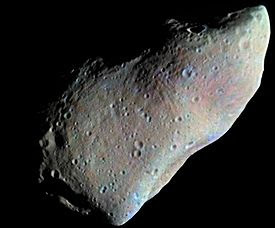 Dawn will be visiting Vesta in 2011 on its way to Ceres. Now we're down to bodies that aren't massive enough to maintain hydrostatic equilibrium, so no more spherical shapes, but these are just rough comparisons so calculations will still be made on the assumption that we're working with a sphere. 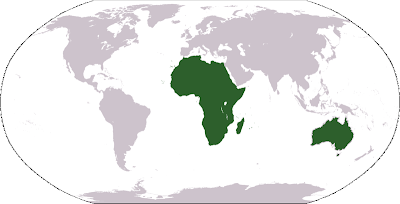 With an average diameter of 530 km, that gives us an area of approximately 880,000 km². 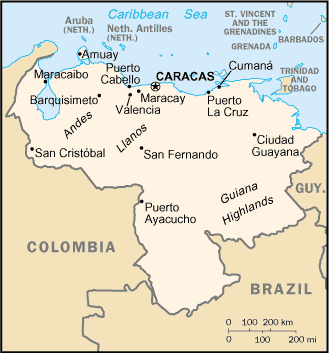 Now we're dealing with an area somewhat smaller than Venezuela, or Texas plus the states of Washington. and it has an average diameter of 52.8 km. This gives a surface area of 8750 km². 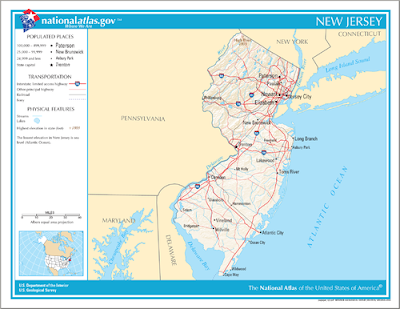 That's the size of New Jersey, or Puerto Rico. 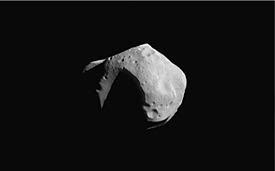 This is an asteroid visited by the Galileo spacecraft on its way to Jupiter. It also has a tiny moon called Dactyl that you can see on the right that is only a fraction of the size. 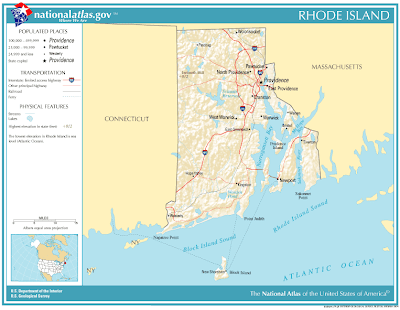 Ida has an average diameter of 31.4 km, giving a surface area of 3100 km², or three quarters of Rhode Island. Take out everything in the ocean and east of Providence and you have the surface area of 342 Ida. As far as countries are concerned it has the surface area of Luxembourg plus Singapore. The next one down the list is a particularly interesting one: 433 Eros. Gaspra was the first asteroid to be visited by a spacecraft, also by Galileo. 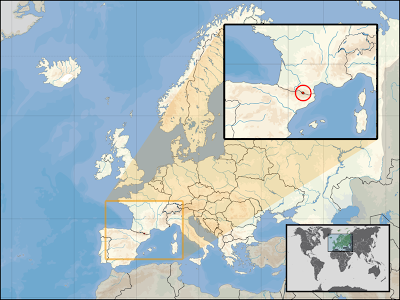 Assuming an average 12.5 km diameter the surface area works out to about 490 km², which is about the same as the tiny country Andorra (smaller than Berlin), sandwiched in between Spain and France and where Catalan is the official tongue. At this size we're now down to an asteroid that you could walk all the way around in a single day if you could actually properly walk on the surface. This asteroid was encountered just last year by the Rosetta space probe, at a fairly distant 800 km away so the images of the asteroid aren't as sharp as the others. It looks a bit like a diamond. 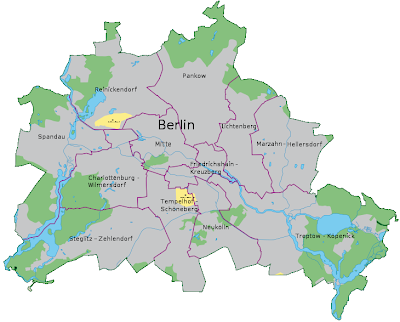 With a diameter of approximately 4.6 km, that gives an approximate surface area of 66 km². That's around the same surface area as the country of San Marino, a tiny blip of a country (but also the oldest sovereign state in the world, founded in 301) entirely located within Italy. 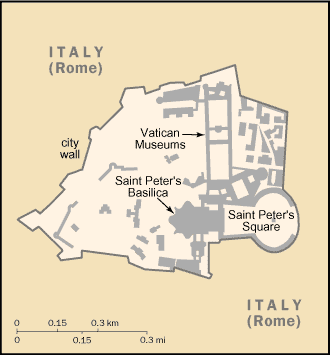 It's still much much larger than the Vatican though, and large enough that it you couldn't explore the entire area in a day, and walking a distance equivalent to walking all the way around would still take a couple of hours. which is a potato-looking thing of some 350 m in diameter or so, kind of like a pile of rubble. A lot of asteroids this size come fairly close to Earth, usually at distances just a few times more than that from the Earth to the Moon (see spaceweather.com for near-Earth asteroids this month). 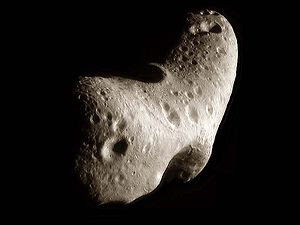 This asteroid has a surface area of 0.38 km², about the same as the Vatican, the smallest country in the world. 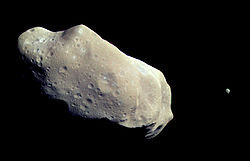 And finally, an asteroid with a diameter of 100m. This is a good size to pick because NASA has tentative plans to send humans to a near-Earth asteroid of just about this size, as a kind of test of missions away from LEO but much easier than missions to other more well-known areas of the Solar System. 100 metres sounds tiny but it still works out to 31,415 m², so about six football fields. Not bad in terms of total area to explore for a mere 100 metres in diameter, and it shows that even astronauts exploring a body as small as this will still have a lot of work to do once they get there.